A cordless telephone is a portable device with a wireless handset communicating through radio waves with a base station which is connected to a fixed telephone line. The base station is powered by electricity, while the handset can operate due to a rechargeable battery activated while the portable device sits in the base station. Analog signals could be picked up easily by radio scanners which allowed other people to hear the private conversation their neighbors were having over the phone. However, most analog models have been replaced with digital cordless phones which provide the advantages of a clearer sound, but also more privacy. Vtech and Uniden are two of the biggest manufacturers of cordless phones. Vtech is a Hong Kong based company founded in 1976 which produces consumer electronics such as cordless phones, accessories and educational computerized children toys. Uniden Corporation is a Japanese based company founded in 1966. Its headquarters are in Tokyo, Japan. Vtech operates in the American, European and Asian markets through a distribution network relying on top retailers. It was one of the first companies to establish manufacturing facilities in China. Vtech releases 60 new products each year which result from the research and development programs for which they allocate between 3 to 4% of annual sales. Vtech is listed on the Hong Kong Stock Exchange and had revenues of $1.448 billion US dollars as of 2009. Uniden Corporation produces wireless communication devices for the Japanese, American, Chinese, Taiwanese, Australian, Philippine markets. Uniden’s revenues for 2009 were of $43.178 billion US dollars. 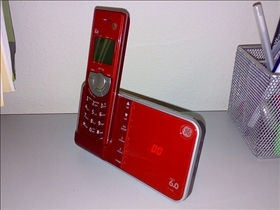 Uniden offers a broad range of digital cordless phones using the DECT 6.0 technology. This makes use of the 1.9 GHz frequency band to avoid interferences with other household electronic devices. The quality of the sound is audibly increased and calls are more secure. Uniden sells individual cordless phones as well as extra phones to use in the same time with the main unit for phone conferencing purposes. These phones also have an intercom feature which can help identify missing phones and in calling people in other parts of the home. Uniden provides Voice Mail services, phonebooks with extensive memory capabilities, a wireless network, call transfers between handsets and many more features. Vtech products rely on DECT 6.0 technology and Bluetooth wireless technology. The first one guarantees the quality of the signal, while the second enables the user to call and receive cellular calls. Aside the main digital cordless phone, 12 extra handsets can be purchased as part of the expandable system. Other features include digital answering machine, touch technology instead of buttons as well as simultaneous multiple phone line access. Vtech is a Hong Kong based company founded in 1976. Uniden is a Japanese company founded in 1966. Vtech targets the American, European and Asian markets, while Uniden operates in the American, Asian and Australian markets. Vtech and Uniden sell cordless phones based on DECT 6.0 digital technology. Vtech products also incorporate Bluetooth features. Which phone maker offers more features? Which one would you use? i hate my Panisonic - Is 5.8 or 6.0 really better? It does not matter which phone has more features. I could care less for all the bells and whistles. The question is which one is more reliable? I bet it's UNIDEN. Trust the Japanese! they know electronics and quality.